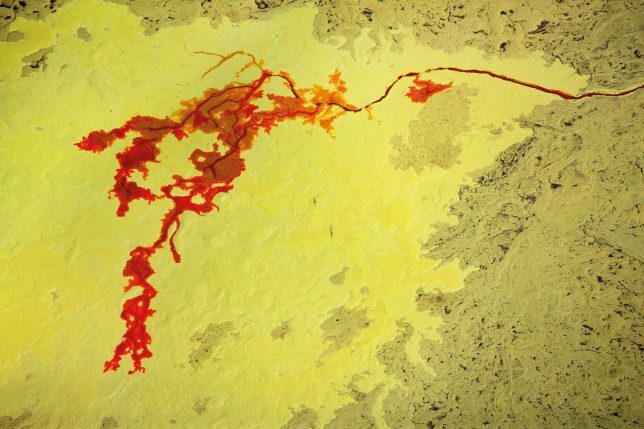 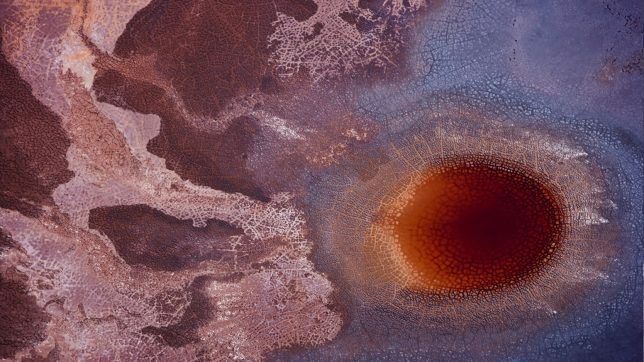 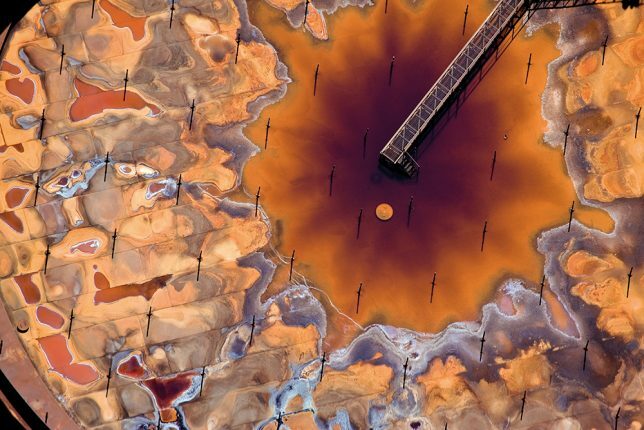 In strikingly well-composed, vividly colored scenes resembling abstract paintings, J. Henry Fair’s aerial photographs of toxic waste and industrial activity on Earth give us an uncomfortable look at the cost of human progress. 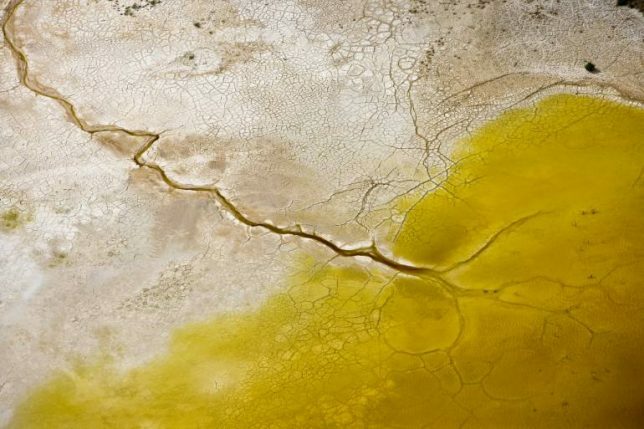 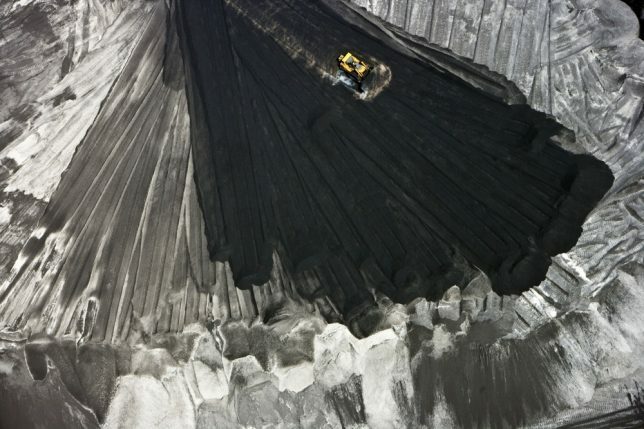 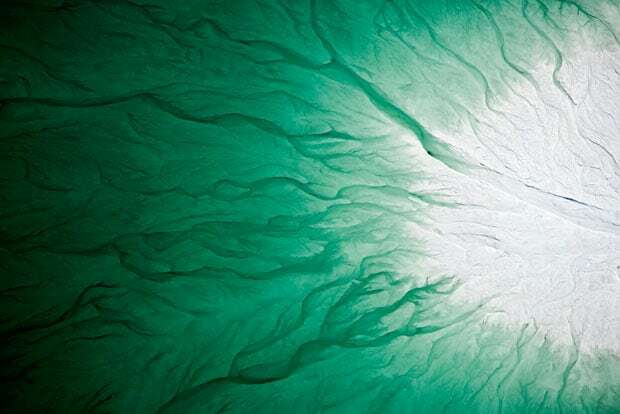 In fact, the images seem unreal: how could the damage caused by industrial pollution be so strangely beautiful? 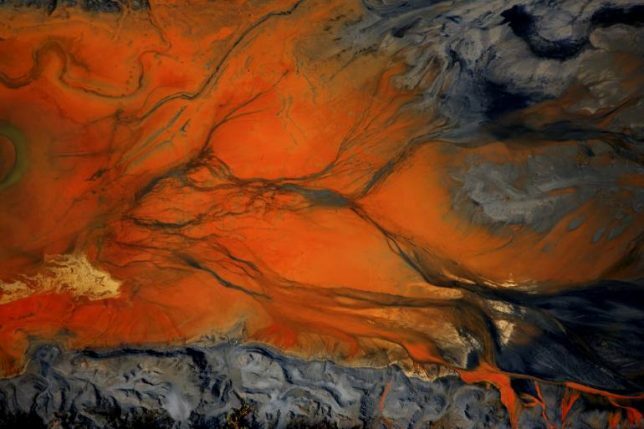 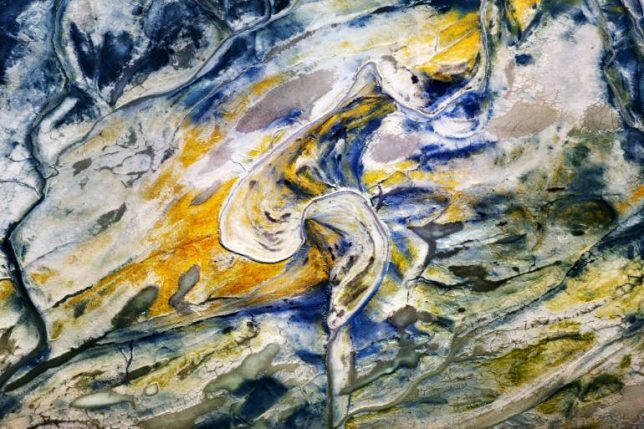 Tar sands, mountaintop removal mining, fertilizer runoff, coal ash, factory farming and devastating oil spills aren’t exactly the stuff that stunning art is usually made of, but Fair is no ordinary artist, forcing us to face the duality of what we’ve created. 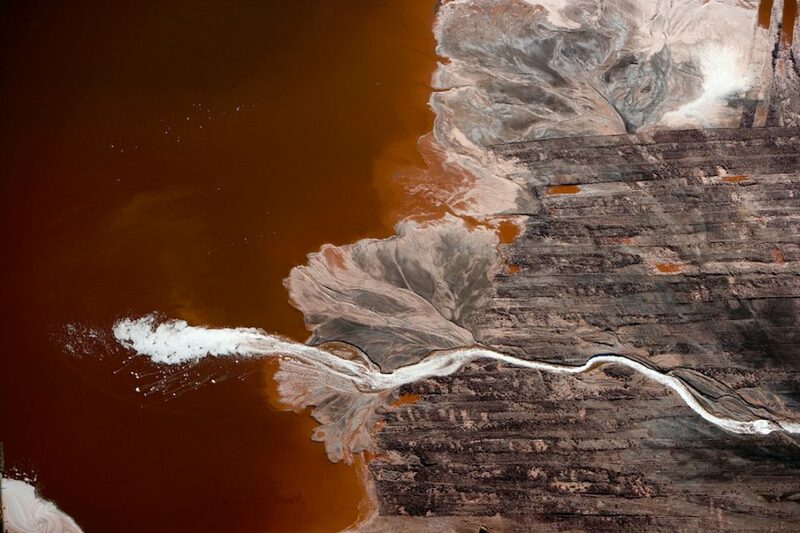 Shooting these scenes from the air gives us a perspective we don’t normally have, as if we’re flying over them in person, reckoning with the damage that comes with our consumption of fossil fuels, large-scale farmed meat, chemicals and other commodities that do significant harm to the environment in their sourcing and manufacturing. 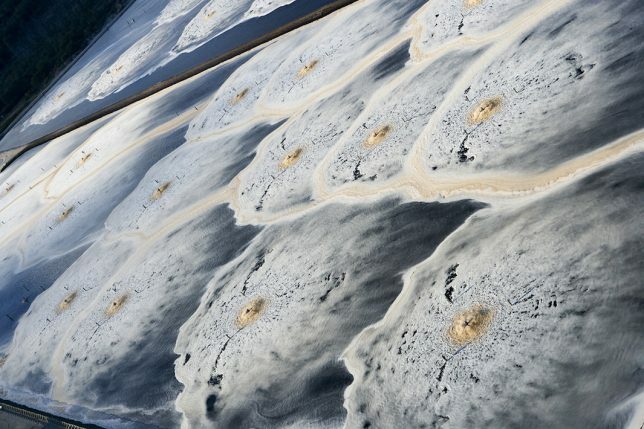 Coal combustion waste may not be pretty, but its splashes of rust and bronze against its black and white surroundings are undeniably striking. 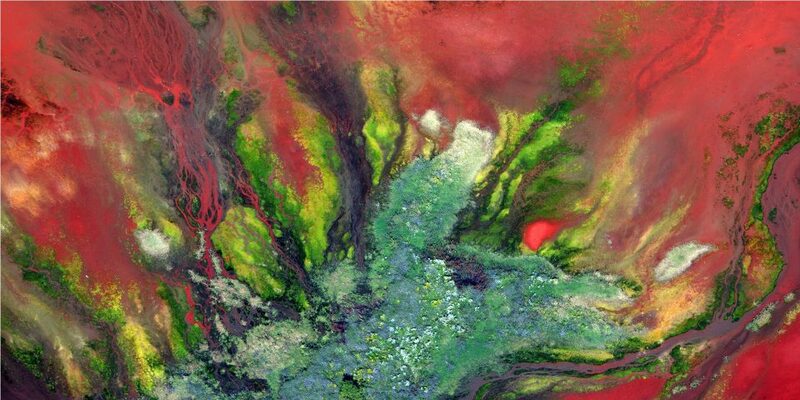 Some heavy metals, like ‘red mud’ bauxite waste from aluminum production, are almost floral in their contrast to green. 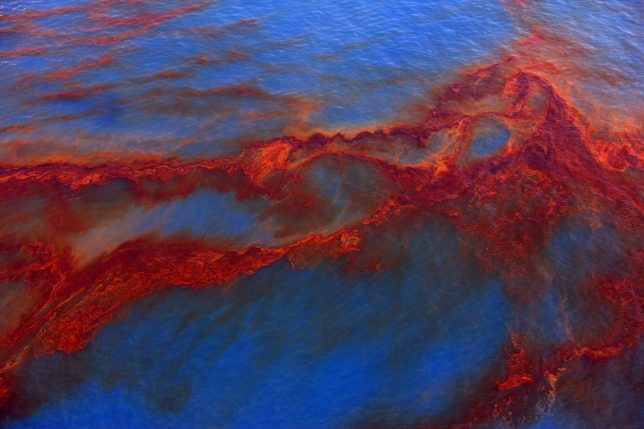 Oil from the BP Deepwater Horizon spill is mesmerizing in its flowing red ribbons against the cobalt blue of the Gulf of Mexico waters. 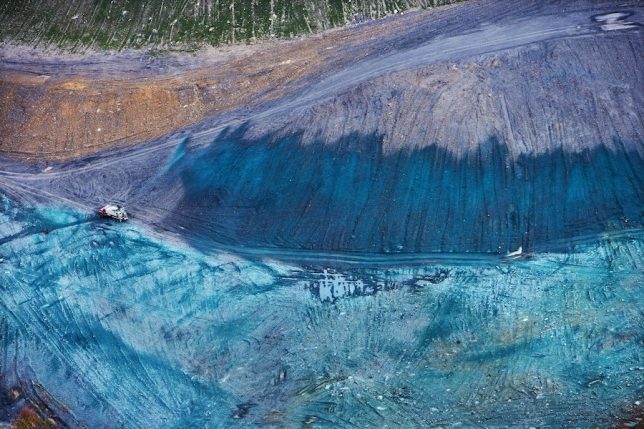 Phospho-gypsum fertilizer waste is a brilliant blue-green, like a gemstone; it contains both uranium and radium, piled dangerously close to drinking water aquifers.